Is a fully Certified FootGolf Course of the American FootGolf League (AFGL) that promotes the sport of FootGolf under the rules and guidelines of the Federation of International FootGolf (FIFG). 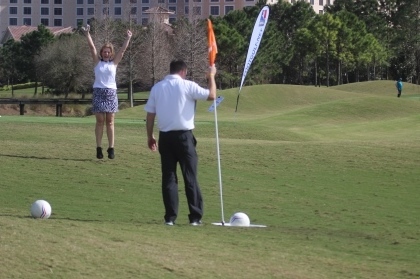 Please call ahead for Tee Times When Making a FootGolf Tee Time Please denote 'FG' after your name for FootGolf play! Tons of Fun for all ages and skill levels! Check out some 'How To' Videos on the AFGL YouTube page!